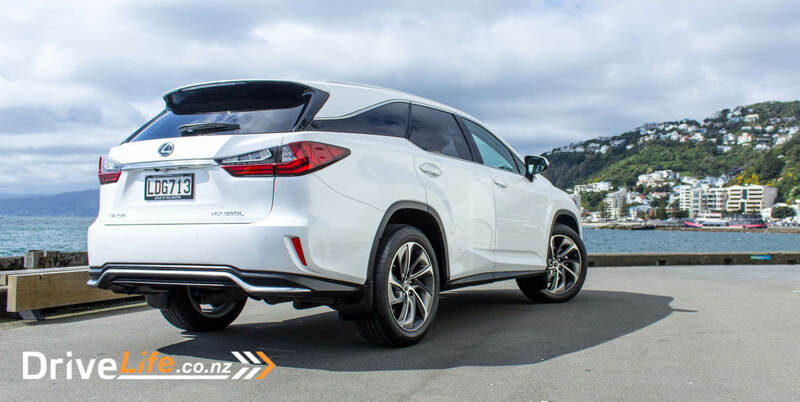 This year sees a refresh of the RX range from Lexus – and with one important change. They’ve extended the car by 110mm, which has made the L model a 7-seater. There’s the usual facelift at the front and back, and an interior update. 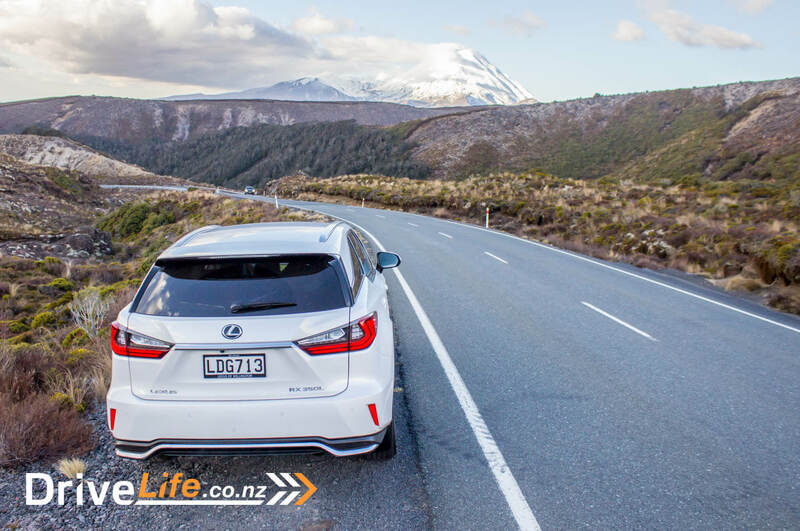 Our test of the RX350L lined up nicely with a ski trip to Whakapapa. This happens at this time every year, as a group of teenagers are ferried up for a day or two of skiing – depending on the weather. Previous years have had us in the Nissan Pathfinder, the Kia Carnival, and a Toyota Prado. There’s a bit of a ‘V6 petrol’ theme running here. 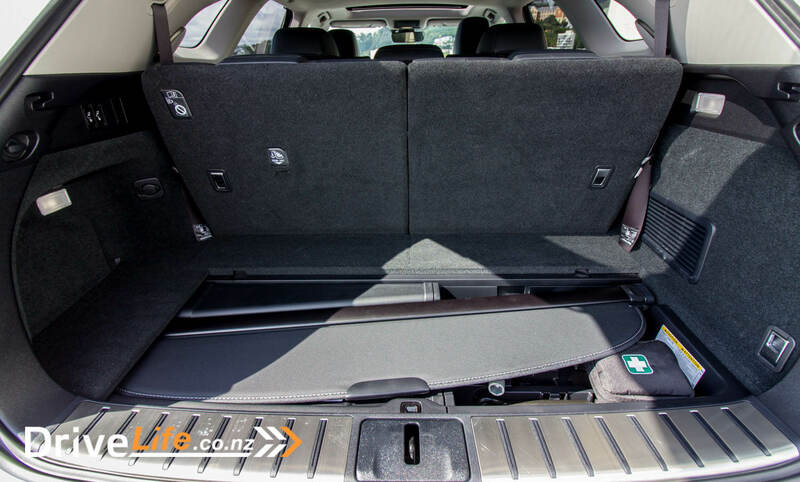 How would the RX350L fare with 5 on board and a loaded-up boot? Time to find out. 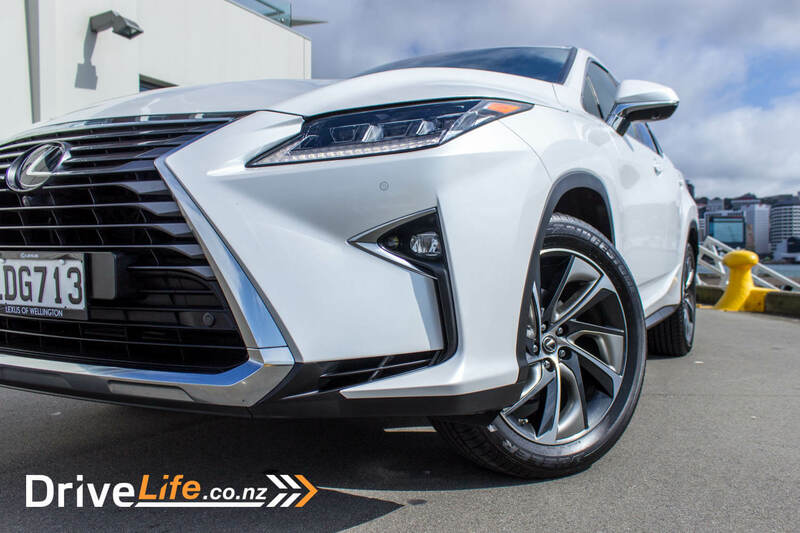 There’s four models in the RX350 range; the RX350, the RX350 FSPORT, and the RX350L in either five or seven seats (tested). At $95,900, the base model is well equipped, with standard equipment like projector LED auto-levelling headlights, auto high beams, LED DRLs, LED front fog lights, blind spot monitoring, power folding mirrors, 8-way power front seats with 3 memory settings for the driver, heated and ventilated front seats, dual zone AC, keyless entry, 4-way power adjusting steering wheel, adaptive cruise control, front and rear parking sensors, rear cross traffic alert, electric tailgate, a 12.3” central display, DVD player, 12-speaker audio, GPS, hill start assist, lane keep assist, lane departure warning, and vehicle sway warning. And that’s the base model! The next model up, the $107,900 RX350 FSPORT, ups the ante by adding corning lights, FSPORT seats, a heads-up display (HUD), wireless phone charging, and a panoramic view monitor. Top of the tree is the RX350L, at $107,900 (or $108,400 for 7 seats). 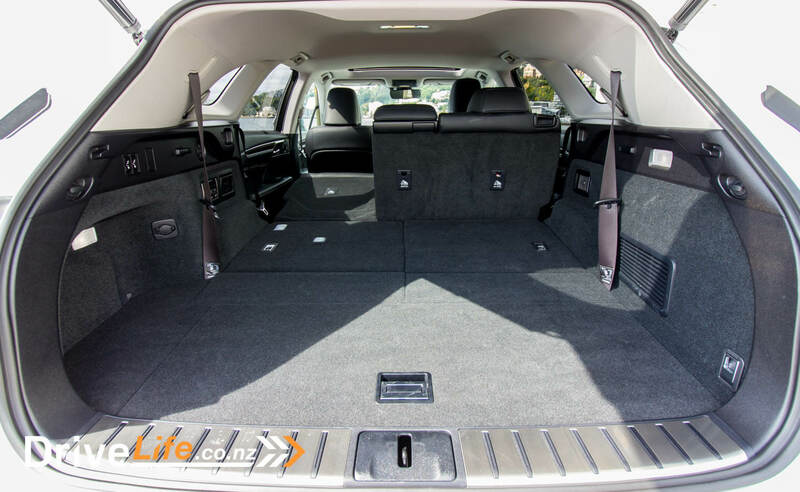 For that, it then adds 10-way power front seats, with passenger 3-memory function, heated second row, power folding rear seats, a heated steering wheel, and the sound system gets updated to a Mark Levinson Premium Sound System with 15 speakers. If you have 5 seats in the L model you get a power panoramic moon roof, while the seven seater makes do with a power sun roof. Let’s start with the rear half of the RX350L, as that’s where all the good stuff is at. That floating roof design is quite stunning – the glass flows down just at the right angles right around the back, and there’s not much else on the road that can match that. We’ve seen other floating roof designs, but none that take it to this extreme. The rear too is pretty nice, with sequential indicators and a tidy roof spoiler. The bumper is a bit too big for my liking, it doesn’t seem to match the rest of the rear design, but that’s just me. 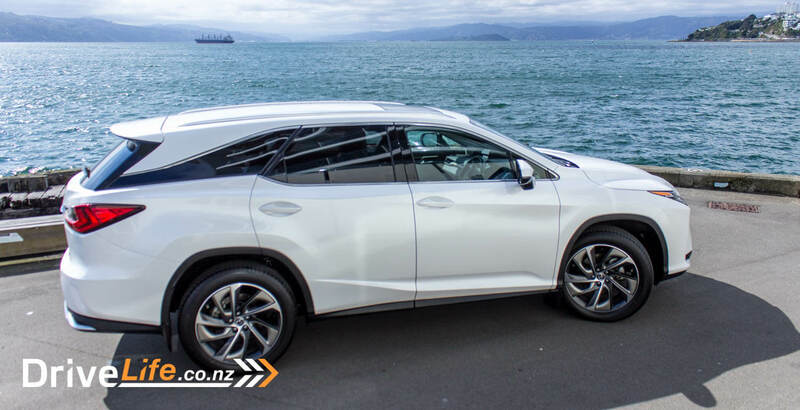 The side view shows off that awesome floating roof, and also the stunning wheel design on the RX. It all just works. Then we get to the front. I’ve never been a fan of the huge ‘gaping mouth’ look (my term for it), and I’m still not. Some like it, I know, but it’s not for me. The LED projector headlights look excellent, but there’s too much of….well, everything else at the front. That grille is enormous. Still, there’s some that call this a ‘statement’ or a ‘bold design’, and it is bold, no arguments there – and for me, galvanising. There’s sequential indicators front and rear, and who doesn’t like those? They look excellent when on. While our test car had 6,000k on the clock, it still looks like new on the inside, and has worn well. There’s grey stitching over dash, steering wheel, console, seats and dash, and it looks good. I wish the stitching was in a different colour though, it sort of faded into the material surrounding it. Contrasting stitching in a brighter colour always looks good in my opinion. 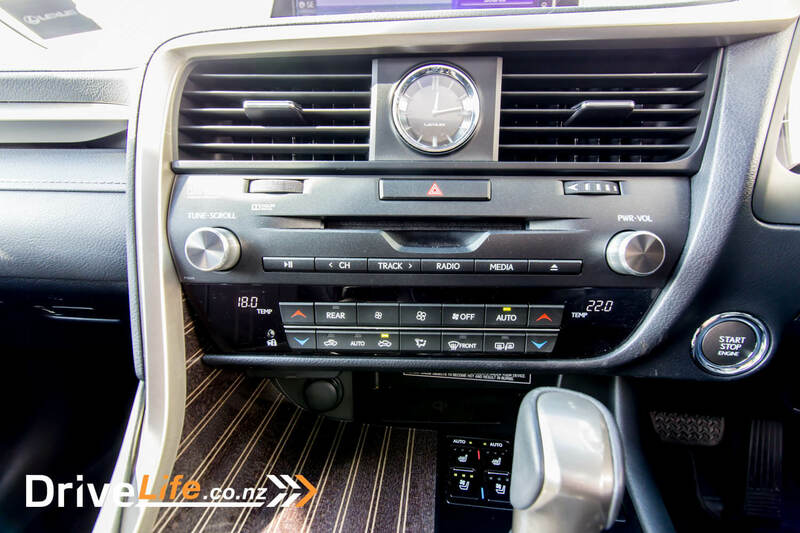 Sitting in the driver’s seat, you know you’re in a Lexus when you see a CD slot – got to cater to the target market. Nice to see a real volume knob, which seems to be making a welcome comeback from touch-only volume controls. 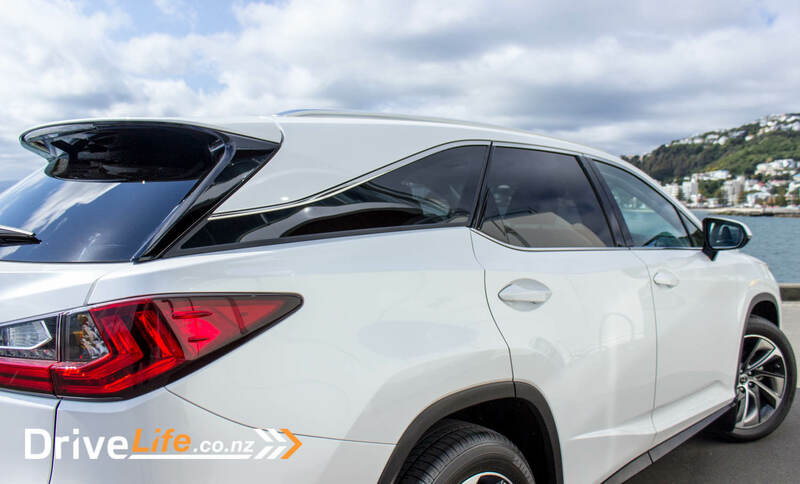 There’s an electric sunroof in the RX350L, but the panoramic one has been removed in the seven seater and in its place is a normal-sized electric sunroof. 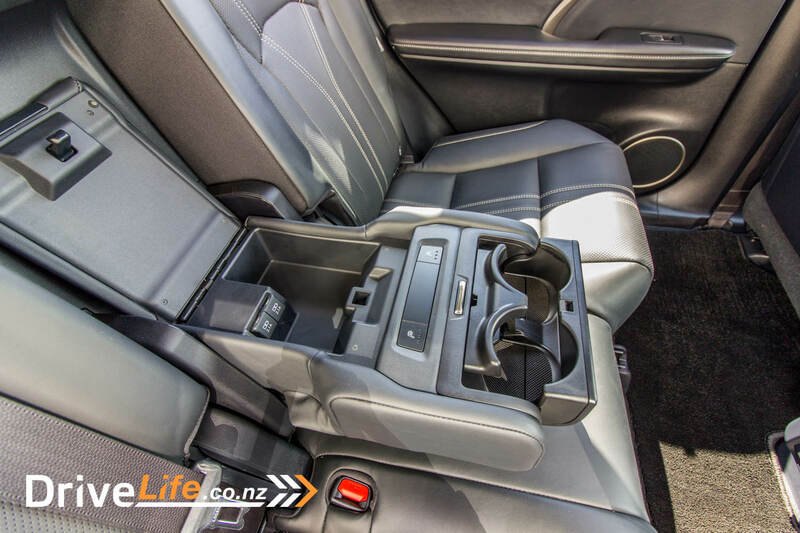 I was a bit surprised to see a manual sunroof blind – I would have thought at $108,000, it’d be electric. That’s not to say it’s not well equipped – far, far from it. 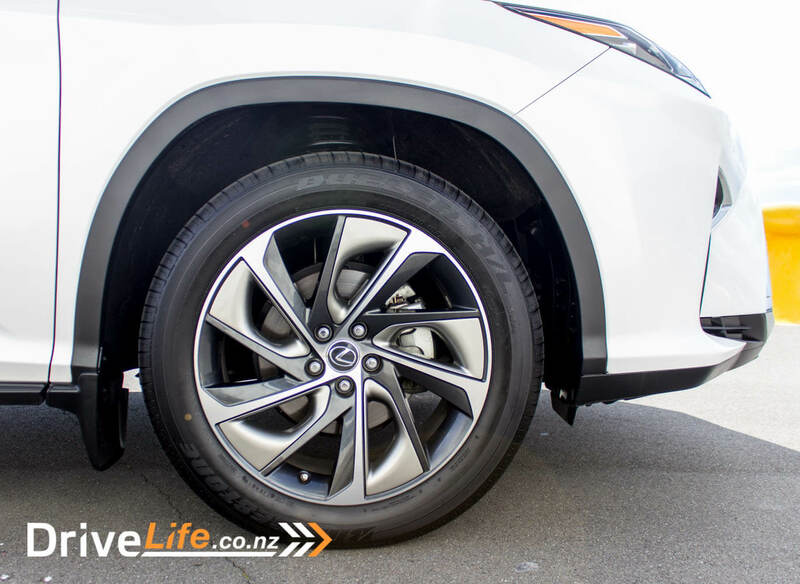 The RX350L seems to have almost every possible feature as standard. There’s some nice touches in the cabin, like the expanding bins in front doors (great for fitting in larger water bottles, and window blinds for the rear doors. The central display at 12.3” is huge and this makes it very usable in everyday use, although the resolution seems on the low side. Lexus has stuck with the tacked-on look for the display, but it’s set low down in the top of the dash so doesn’t feel so intrusive. There’s loads of rear legroom if the second row is slid right back, but this does mean zero legroom for the third row. But – move the second row forward to give your third row seat people enough legroom, and there’s still a decent amount of room. Heading out the dealership, the new RX350L doesn’t just feel longer than the old model – it feels bigger overall. 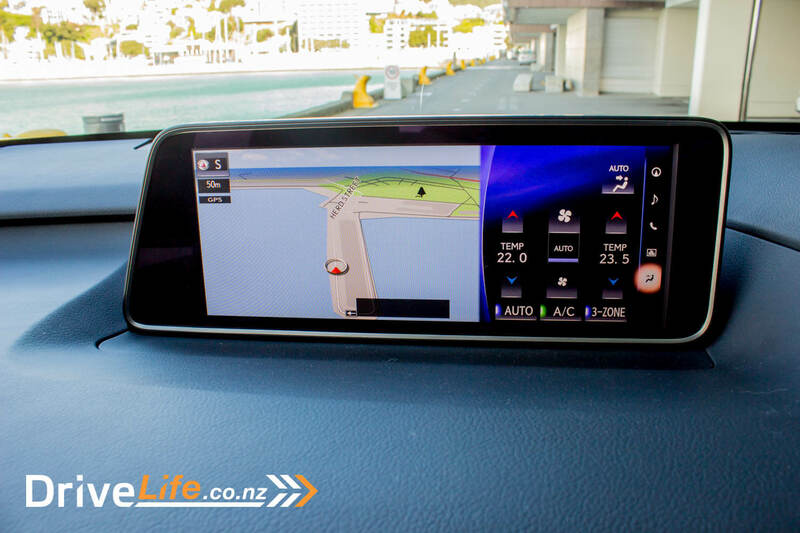 The HUD is nicely clear, with speed, rev counter and SatNav directions shown (if you are using it). Since it was a cold day, I turned on the heated steering wheel, as you do. I have to say some heated steering wheels feel like they are cooking your hands after a while, but the RX one is perfect – just enough to take the chill out of your fingers and hands. It was great to see an auto hold function for the electric park brake, but a shame it doesn’t stay on when you get back in the car. Fair to say not many manufacturers do keep this on when returning to the car. I went to try out the massive 12.3” central display, but like the IS200 we tested, the toggle switch is a little hard to use on the move. A simple dial like BMW’s iDrive works so much better. 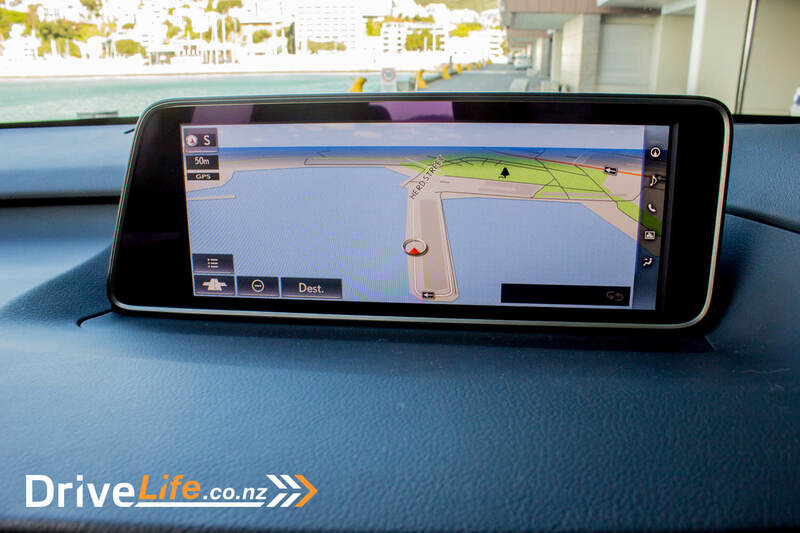 The SatNav system is a breeze to use regardless of the toggle, and it was great to see that when you are on the motorway, the next three exits are shown along with the map. What’s great about this is that you get the exit name, how many kilometres away it is and how long it will take to get there. Handy stuff. A shame though that there’s no traffic sign recognition, and even with GPS you don’t get the current speed limit shown on the centre display or the HUD. This is always appreciated, and missed when it isn’t there. I headed home and loaded up the car. With the extra length, it feels like there’s a massive amount of boot space now. At 519 litres with the third row down, it’s pretty reasonable. Hitting the rush hour on Friday (of course), it was slow going for a while. 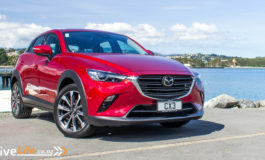 The RX’s adaptive cruise control came in very handy here, but it felt a bit jerky at times, as it accelerated too quickly if the car in front moved forward, then would put the brakes on quite hard. We’d see this happen over the whole weekend’s driving, so at times I’d turn cruise off to make for a smooth drive. 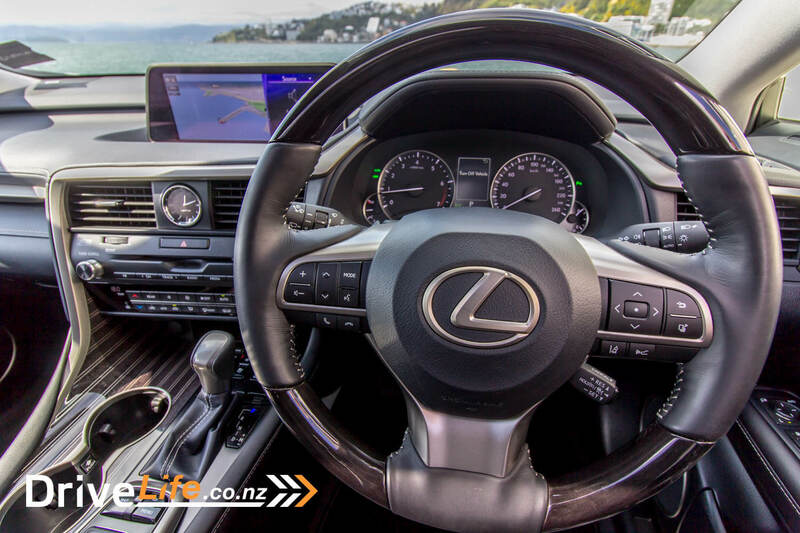 The RX has Lexus’ normal cruise control stalk, and I know we keep going on about it, but at Drive Life we all wish it was buttons on the steering wheel – they are much easier to use. 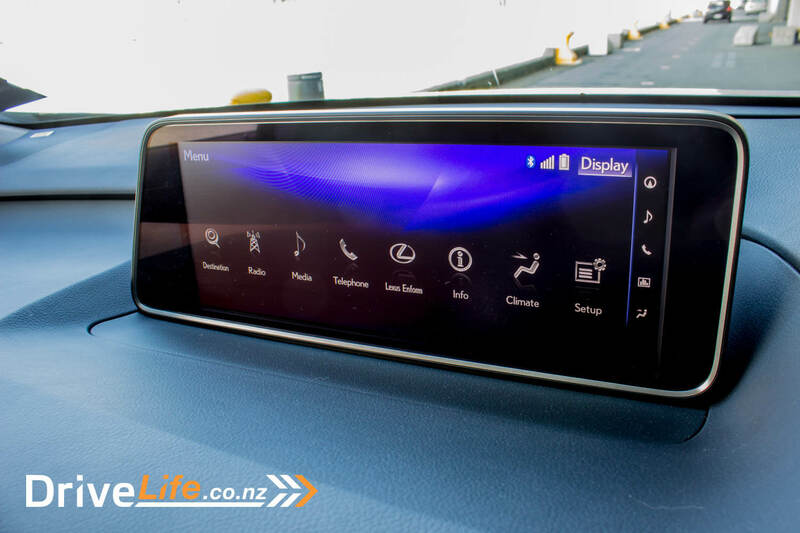 It also means with adaptive cruise control, you use the stalk to turn it off and on etc, but adjust the distance between you and the car in front using a steering wheel button, which doesn’t feel too ergonomic. On the plus side, adaptive cruise control will bring you to a complete stop, and start you off again with a touch of the gas pedal. Ah, gas. 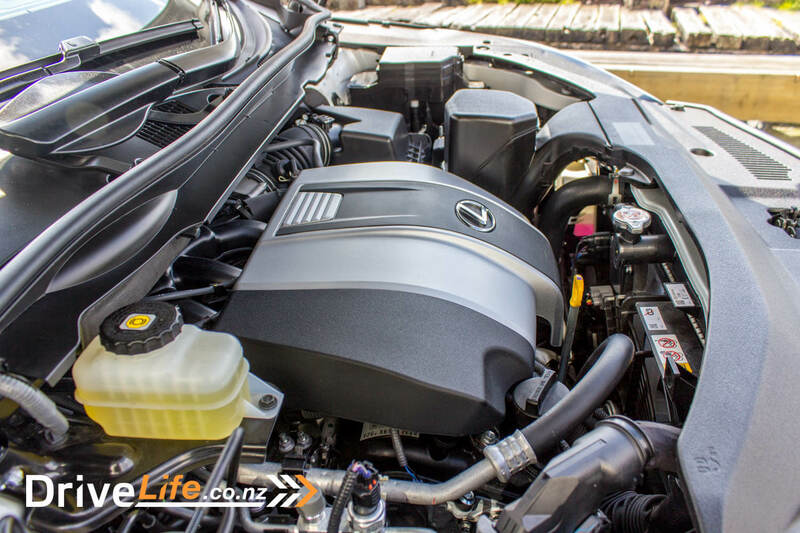 Do I love a petrol V6 engine – who doesn’t? The sound when you wind it out a bit is so nice, and there is performance there if you want to wind it out. I left the car in Eco mode all the way from Wellington to Raurimu, to compare both for performance and economy. 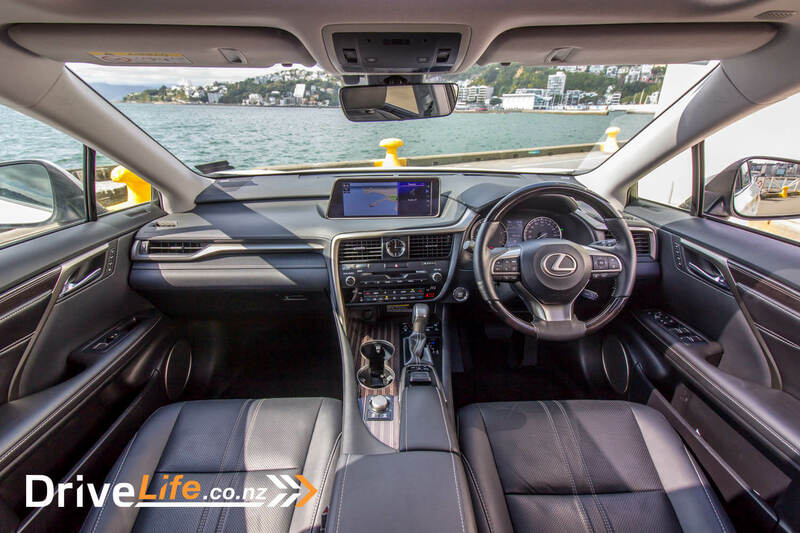 The quality of the ride was a stand out for me – the RX350L rides beautifully, soaking up bumps as you would expect a Lexus to do. As darkness fell, I switched the car’s auto high beams on, and let it do its thing. The headlights in the RX350L are LED projector, auto on, auto high beam and intelligent – so as good as it gets. We did have few too many drivers though who flashed their lights at us, thinking we were still on high beams. I’m not sure if this was a physiological thing, as they could still see some sort of high beam lights going but it wasn’t blinding them, or maybe they were being blinded. I’ve not had this happen on other cars with auto high beams, so not sure what was happening there. 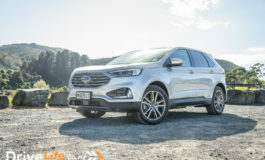 So how did it go on the trip up to Raurimu? 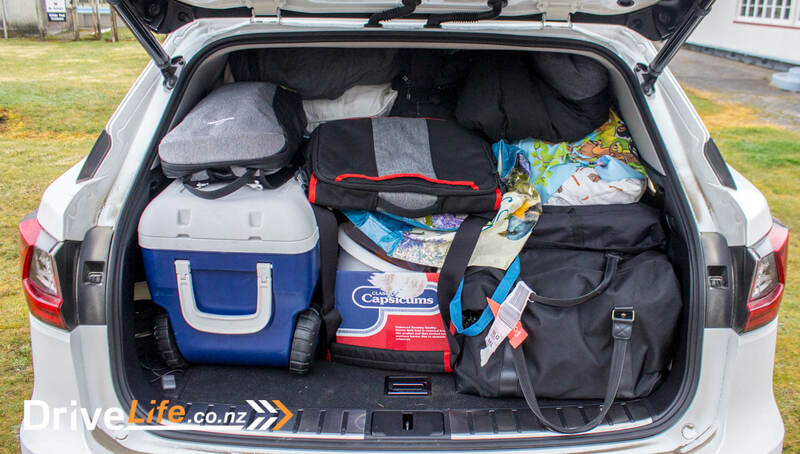 With five of us on board and the boot absolutely packed, it managed 11.7L/100km. A bit over Lexus’ stated 9.6, but realistically? Not too bad. You can really feel the two ton of the car up the hills, and that’s without any gear. We must have easily been touching 2,600kg laden, on the trip up. 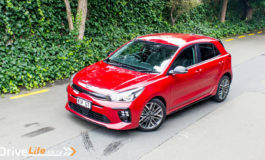 With maximum torque at 4,600rpm and a load of gear, it’s going to be a struggle to use less fuel. Driving the car around on the weekend showed off some of the characteristics of it when used as intended. 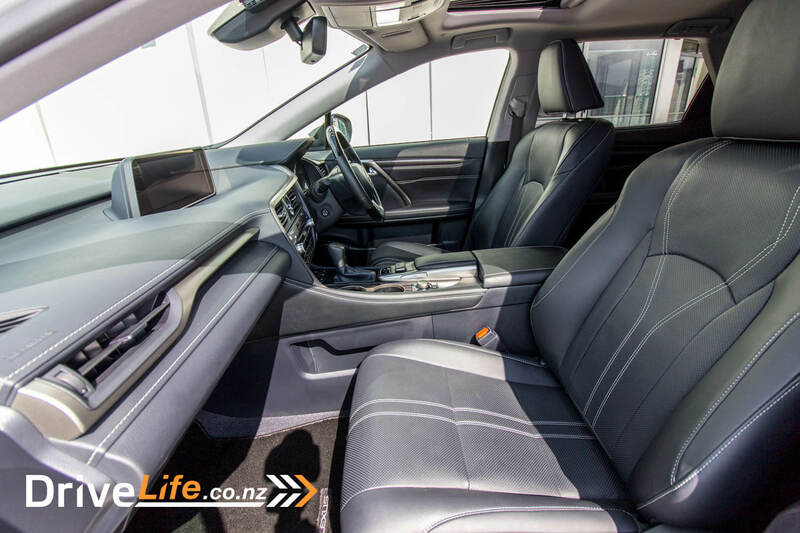 There’s tri zone AC, but there are no roof vents – there’s two centre console vents in the second row, and vents in the sides in the third row. Most passengers prefer roof vents, but this isn’t the end of the world. 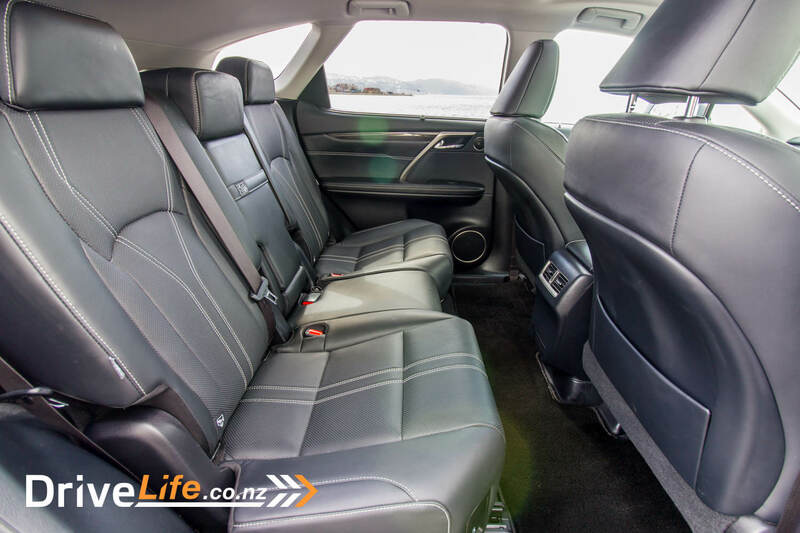 There’s a heated second row in this model, which is great – but the buttons are under the rear centre armrest. This means if you have a third passenger in the second row, you need to turn on the heated seats before leaving, and then can’t adjust them again until you stop somewhere. The actual rear-centre armrest does look very cool, with the heated seat buttons and USB ports, but it’s a little impractical. Putting the seat heat buttons and the USB ports in here isn’t the best idea. For the front seats, there is an automatic mode for heating cooling. Simply seat either or both front seats to ‘auto’ and they will warm or cool your seat, depending on what the AC is set to. Quite nice, and saves mucking around turning them up or down. It was great that if I left the car in Eco mode (and I did all weekend until the return trip), it stays in Eco mode until you pick another mode. This is how it should be, but it isn’t always the way. The 8-speed auto in the RX is perfect – silky smooth and perfect changes. 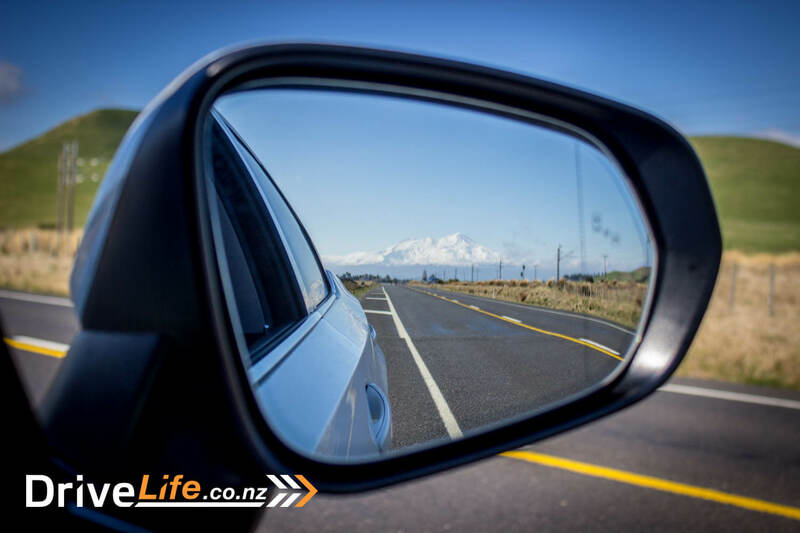 On the open road, there’s almost no tyre, road or wind noise – conversations at 100km/h are done with normal voices, as there’s little noise coming in from outside at all. On the sound side of things, the 15-speaker Mark Levinson audio system can certainly pump out the volume and quality. There’s not much else to be said here – it’s a quality unit. Visibility out of the car is mostly good; that floating roof doesn’t mean the actual interior window goes all the way back to the car, even though it looks like it does. It’s still a good size, but I was thankful for blind spot monitoring to watch out for cars on the sides. The steering wheel is a nice, small leather unit and the controls for the audio system and phone etc are a pleasure to use, and I didn’t need to look down very often to see what button I was pressing. There are the buttons here too for the driver’s information display, which has a load of settings you can scroll through. One of these settings is the graphic of the front and rear wheels, showing you were the drive is going – and at what percentage – at any given time. It’s quite interesting to watch how often this changes, and when the computer decides you need more rear-wheel drive than front. We didn’t really need AWD while up the mountain, but nice to know it’s there, working away anyway. You don’t get any AWD modes to choose from in the Lexus, but you do get a centre diff lock if you want to get serious. All too soon it was Sunday and time to head home – this time, I’d be leaving the RX in Normal mode nearly all of the way. Heading away into the sunshine, I love love love how the RX350 has sliding sun visors. I wish these were fitted to all cars. It was so good to be able to simply block the sun from my eyes on my door by sliding the visor along. Brilliant stuff, and this feature isn’t seen enough. I’ve got to say, driving the car in Normal mode felt no slower than in Eco mode. I couldn’t pick up any difference, but maybe that was because of the weight, I’m not sure. On the return trip, we had four people on board and just as much gear, so slightly less weight. I was keen to see our L/100km when we got home, to see just how much more petrol Normal mode would use. 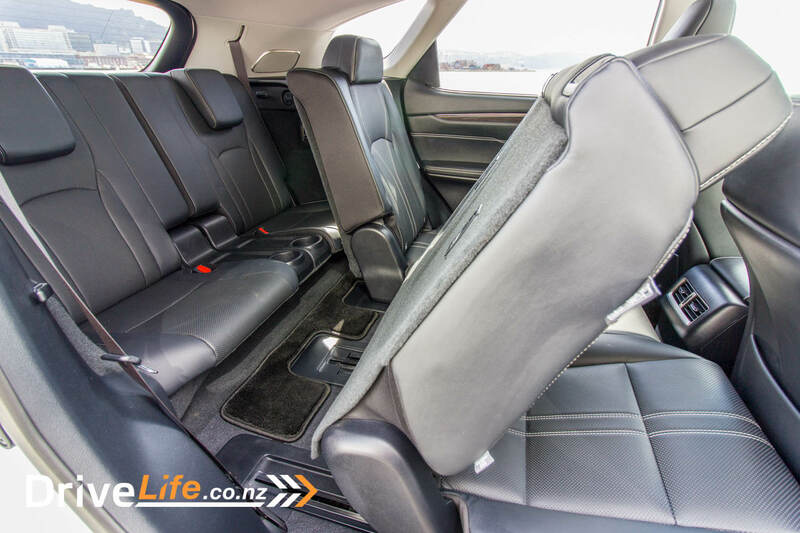 One highlight for this car are the seats – all of them. So freaking comfortable. The fronts especially so, with so much adjustment and heating/cooling, they are perfect for a long trip. Any second row passengers over the weekend – and there were many changes – always mentioned the seat comfort as soon as they sat down. On one of the windier bits of road, I switched the car to Sports mode to test it out. The steering is supposed to get heavier, along with some chassis changes in this mode. Here’s the thing for me; yes the steering does get heavier, but it feels fake – like added weight just for the hell of it. There’s no extra feel through the steering – which on the whole, doesn’t have a lot – so it was back to Normal mode for me. Performance does feel crisper in Sport mode, and changes happen sooner, but I think Normal mode is where it’s at. And so, to Normal mode and fuel consumption. We left Raurimu, after using 11.7L/100km to get there running entirely in Eco mode. On the way back with one less person and running in Normal mode…9.0L/100km. I couldn’t believe it either. This car was more economical not running in Eco mode. I wondered about this – maybe it’s something to do with torque being so high, perhaps in Eco mode the car is holding the gears longer, and then there’s no performance until it changes down and uses more gas to get back to speed. I’m no engineer, but that’s my theory. It was an interesting comparison though, and I’m still surprised by the result. My average over just on 1,000ks of driving was 10.5L/100km, which wasn’t too bad in the scheme of things petrol V6. 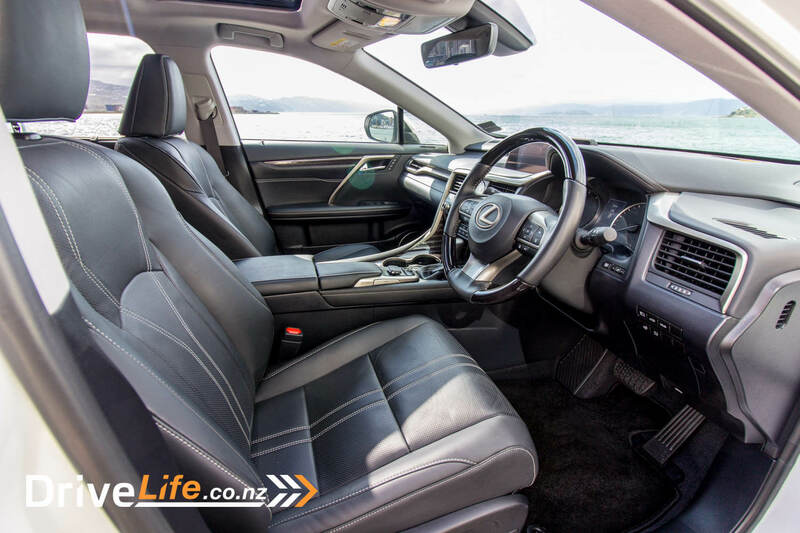 The RX 350L is designed for its target market perfectly, and matches it. It’s luxurious, fully featured, and goes very well indeed. 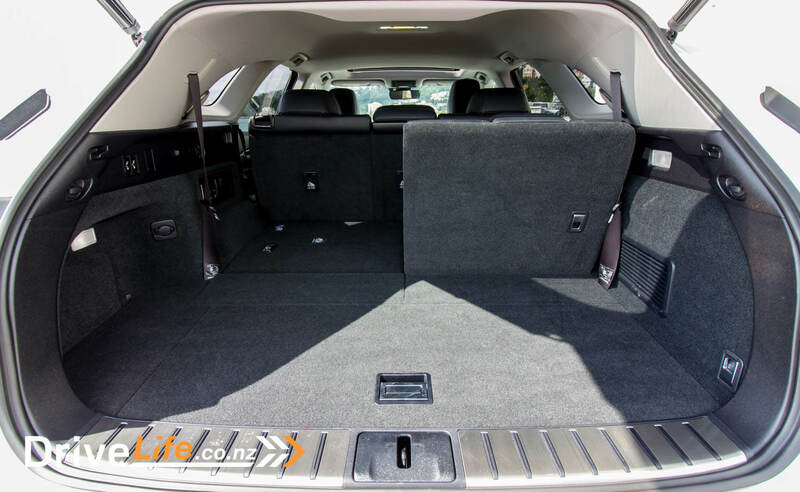 It’s also spacious, quiet, rides very well, and has loads of space. Didn’t I say it fitted in perfectly with its market? 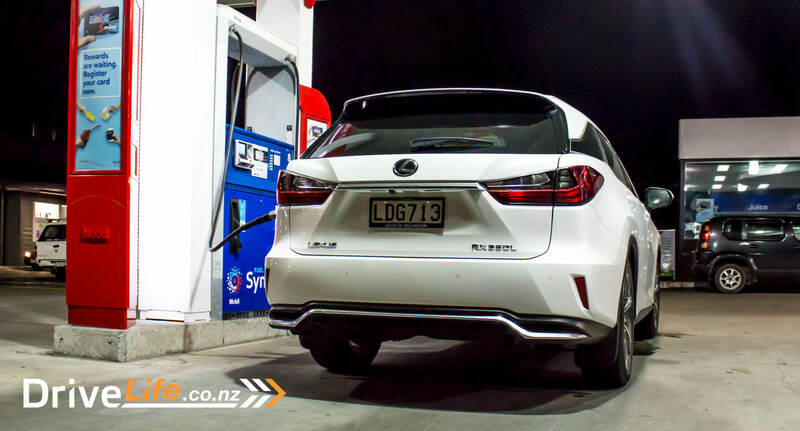 Yes, it likes a drink, but if you are spending over a hundred grand on a Lexus with a petrol V6 engine, you will not care. Current Lexus RX owners will enjoy this car, even with the few niggly things that I picked up.